If you want to start a new blog, then starting with shared hosting is a perfect choice for you. It is available at an affordable price. But there is a number of shared hosting providers available in the market today. Peoples often confuse to choose the right shared hosting provider to start with. Maybe you are also in confusion to choose the right one for your website or blog. But don’t worry. 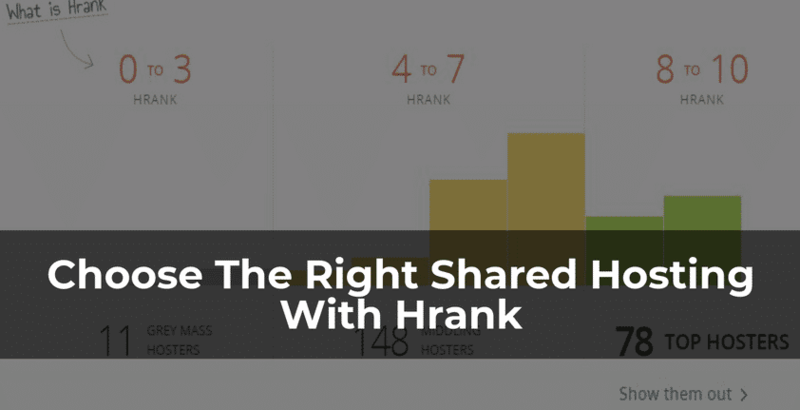 Choosing the right shared hosting is now easy with the help of HRANK. You will soon know how you can choose the right hosting. In this post, I am going to introduce you to Hrank which is a rating system for shared hosting based on research, analytics and experience. It is completely up to date and with free of cost, you will able to check the rating. Hrank is a rating system of shared hosting providers. You can use Hrank to find the right shared hosting provider for your blog or website. Hrank always monitoring a huge number of websites running on shared hosting from several shared hosting companies and with this process they have built their own ranking system. They also share their rating with the public free of cost. You can see which shared hosting are rank better and which has good uptime, response time. 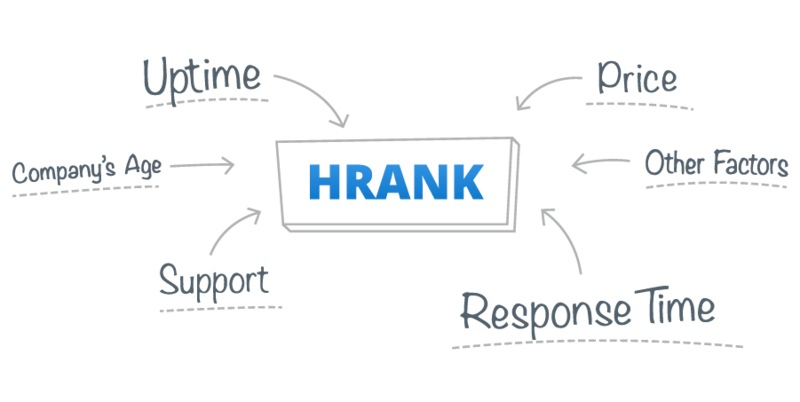 Hrank provides an accurate data depending upon the overall performance of server. Uptime and server response time are two major factors that Hrank use to give a rating to a server. At the moment of writing this post, Hrank is monitoring 300+ hosting providers, 40,000 shared servers and 50 mln websites. From the end of the year 2016, HRANK started to monitor and still continue the monitoring process for shared hosting providers. A shared hosting server contains multiple websites on a single server. Hrank shared hosting rating system includes only those shared servers that contain more than 50 domains. Shared hosting with more than 50 domains cover almost 98% of all shared servers which make Hrank a better place to choose shared hosting for users. How Hrank give ratings to shared hosting providers? The Hrank bot sends 288 requests in each server in every 24 hours to collect the required data for you to give the rating to hosting providers. After that, the Hrank go through several other processes like check hosting company website to get the age of the company, pricing, support quality etc and at the end give it a rating. How to choose the perfect shared hosting from Hrank? You can browse the top shared hosting providers on Hrank. This is simple, the hosting providers appear on top of the list on this page are top ranking shared hosting provider. From the list, you can choose the provider having a good rating, uptime and server response. Well, choosing the proper hosting solution from HRANK is easy. They have all the data that you need to choose the right one for your website or blog. So you have seen how Hrank makes it easier for you to choose the right shared hosting solution for you. I hope you would also like to check in Hrank before choosing a hosting provider to start your website. Benefits of SSD VPS hosting: what is good and what is not? Why I have removed my WordPress blog from BlueHost India?